This TOYOTA RAV4 boasts a sturdy engine powering this Automatic transmission. * Stop By Today *Test drive this must-see, must-drive, must-own beauty today at Gloucester Toyota, 6357 George Washington Highway, Gloucester, VA 23061. Boasts 35 Highway MPG and 26 City MPG! This Toyota RAV4 has a trusty Regular Unleaded I-4 2.5 L/152 engine powering this Automatic transmission. *You Can't Beat the Price with These Options *REAR CARGO AREA COVER, MUDGUARDS, FIRST AID KIT, BLIND SPOT MONITOR W/LANE CHANGE ASSIST -inc: Blind Spot Monitor, rear cross traffic alert and lane change assist. * Stop By Today *For a must-own Toyota RAV4 come see us at Gloucester Toyota, 6357 George Washington Highway, Gloucester, VA 23061. Just minutes away! Delivers 35 Highway MPG and 26 City MPG! This Toyota RAV4 has a trusty Regular Unleaded I-4 2.5 L/152 engine powering this Automatic transmission. *This Toyota RAV4 Is Competitively Priced with These Options *SPECIAL COLOR, BLIND SPOT MONITOR W/LANE CHANGE ASSIST -inc: Blind Spot Monitor, rear cross traffic alert and lane change assist. * Stop By Today *For a must-own Toyota RAV4 come see us at Gloucester Toyota, 6357 George Washington Highway, Gloucester, VA 23061. Just minutes away! This Toyota RAV4 has a durable Regular Unleaded I-4 2.5 L/152 engine powering this Automatic transmission. * This Toyota RAV4 is a Bargain with These Options *REAR CARGO AREA COVER, MUDGUARDS. * Visit Us Today *For a must-own Toyota RAV4 come see us at Gloucester Toyota, 6357 George Washington Highway, Gloucester, VA 23061. Just minutes away! Scores 33 Highway MPG and 25 City MPG! This Toyota RAV4 has a trusty Regular Unleaded I-4 2.5 L/152 engine powering this Automatic transmission. *This Toyota RAV4 Is Competitively Priced with These Options *REAR CARGO AREA COVER, MUDGUARDS, FIRST AID KIT. * Stop By Today *For a must-own Toyota RAV4 come see us at Gloucester Toyota, 6357 George Washington Highway, Gloucester, VA 23061. Just minutes away! This Toyota RAV4 has a trusty Regular Unleaded I-4 2.5 L/152 engine powering this Automatic transmission. *You Can't Beat the Price with These Options *REAR CARGO AREA COVER, BLIND SPOT MONITOR W/LANE CHANGE ASSIST -inc: Blind Spot Monitor, rear cross traffic alert and lane change assist. 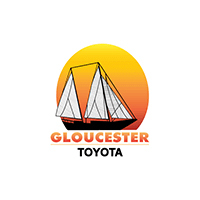 * Visit Us Today *Stop by Gloucester Toyota located at 6357 George Washington Highway, Gloucester, VA 23061 for a quick visit and a great vehicle! Scores 33 Highway MPG and 25 City MPG! This Toyota RAV4 has a trusty Regular Unleaded I-4 2.5 L/152 engine powering this Automatic transmission. *Get Your Money's Worth for this Toyota RAV4 with These Options *REAR CARGO AREA COVER, BLIND SPOT MONITOR W/LANE CHANGE ASSIST -inc: Blind Spot Monitor, rear cross traffic alert and lane change assist. * Stop By Today *Treat yourself- stop by Gloucester Toyota located at 6357 George Washington Highway, Gloucester, VA 23061 to make this car yours today! This Toyota RAV4 has a strong Regular Unleaded I-4 2.5 L/152 engine powering this Automatic transmission. * This Toyota RAV4 is a Bargain with These Options *REAR CARGO AREA COVER, MUDGUARDS, FIRST AID KIT, DOOR EDGE GUARDS, BLIND SPOT MONITOR W/LANE CHANGE ASSIST -inc: Blind Spot Monitor, rear cross traffic alert and lane change assist. * Stop By Today *Come in for a quick visit at Gloucester Toyota, 6357 George Washington Highway, Gloucester, VA 23061 to claim your Toyota RAV4! This Toyota RAV4 has a strong Regular Unleaded I-4 2.5 L/152 engine powering this Automatic transmission. *This Toyota RAV4 Is Competitively Priced with These Options *REAR CARGO AREA COVER, MUDGUARDS, FIRST AID KIT, DOOR EDGE GUARDS, BLIND SPOT MONITOR W/LANE CHANGE ASSIST -inc: Blind Spot Monitor, rear cross traffic alert and lane change assist. * Stop By Today *Stop by Gloucester Toyota located at 6357 George Washington Highway, Gloucester, VA 23061 for a quick visit and a great vehicle! Boasts 33 Highway MPG and 25 City MPG! This Toyota RAV4 has a trusty Regular Unleaded I-4 2.5 L/152 engine powering this Automatic transmission. * This Toyota RAV4 is a Bargain with These Options *SPECIAL COLOR, REAR CARGO AREA COVER, MUDGUARDS, FIRST AID KIT, BLIND SPOT MONITOR W/LANE CHANGE ASSIST -inc: Blind Spot Monitor, rear cross traffic alert and lane change assist. * Stop By Today *You've earned this- stop by Gloucester Toyota located at 6357 George Washington Highway, Gloucester, VA 23061 to make this car yours today! Boasts 33 Highway MPG and 25 City MPG! This Toyota RAV4 has a trusty Regular Unleaded I-4 2.5 L/152 engine powering this Automatic transmission. * This Toyota RAV4 is a Bargain with These Options *MUDGUARDS. * Visit Us Today *Stop by Gloucester Toyota located at 6357 George Washington Highway, Gloucester, VA 23061 for a quick visit and a great vehicle! Delivers 33 Highway MPG and 25 City MPG! This Toyota RAV4 has a durable Regular Unleaded I-4 2.5 L/152 engine powering this Automatic transmission. *You Can't Beat the Price with These Options *MUDGUARDS. * Visit Us Today *Test drive this must-see, must-drive, must-own beauty today at Gloucester Toyota, 6357 George Washington Highway, Gloucester, VA 23061. This Toyota RAV4 has a dependable Regular Unleaded I-4 2.5 L/152 engine powering this Automatic transmission. *You Can't Beat the Price with These Options *MUDGUARDS, FIRST AID KIT. * Visit Us Today *Treat yourself- stop by Gloucester Toyota located at 6357 George Washington Highway, Gloucester, VA 23061 to make this car yours today! This Toyota RAV4 has a trusty Regular Unleaded I-4 2.5 L/152 engine powering this Automatic transmission. * This Toyota RAV4 is a Bargain with These Options *CONVENIENCE PACKAGE -inc: 8-Way Power-Adjustable Driver's Seat w/Lumbar Support, 5 Door Smart Power locks, remote entry and hands free power rear liftgate, Front Seat Heating , RADIO: ENTUNE 3.0 AUDIO PLUS -inc: 6 speakers, 8.0 touchscreen, AM/FM/HD Radio, aux port, USB media port, 4 USB charging ports, advanced voice recognition, hands-free phone capability and music streaming via Bluetooth wireless technology, Scout GPS link compatible w/up to 3-year trial, Siri eyes free, Apple CarPlay compatible, SiriusXM w/3-month all access trial, Toyota connected services - Safety Connect w/3-year trial, Service Connect w/3-year trial, Remote Connect w/6-month trial, Wi-Fi Connect powered by Verizon w/up to 2GB within 6-month trial, See toyota.com/entune for details, MUDGUARDS, FIRST AID KIT, DOOR EDGE GUARDS. * Stop By Today *A short visit to Gloucester Toyota located at 6357 George Washington Highway, Gloucester, VA 23061 can get you a reliable RAV4 today! Delivers 33 Highway MPG and 25 City MPG! This Toyota RAV4 has a trusty Regular Unleaded I-4 2.5 L/152 engine powering this Automatic transmission. * This Toyota RAV4 is a Bargain with These Options *XLE PREMIUM PACKAGE -inc: soft grip door trim and aluminum temporary spare wheel, CONVENIENCE PACKAGE , MUDGUARDS, DOOR EDGE GUARDS, BODY SIDE MOLDINGS. * Stop By Today *A short visit to Gloucester Toyota located at 6357 George Washington Highway, Gloucester, VA 23061 can get you a trustworthy RAV4 today! Delivers 33 Highway MPG and 25 City MPG! This Toyota RAV4 has a strong Regular Unleaded I-4 2.5 L/152 engine powering this Automatic transmission. *Get Your Money's Worth for this Toyota RAV4 with These Options *XLE PREMIUM PACKAGE -inc: soft grip door trim and aluminum temporary spare wheel, COLD WEATHER PACKAGE -inc: Driver Seat w/2-Position Memory Function, Front Seat Heating, 3 Spoke Leather Heated Steering Wheel, Lane Departure Alert, Wiper/Windshield Deicer, Rain Sensing Front Wipers , ROOF RACK CROSS BARS. * Visit Us Today *Test drive this must-see, must-drive, must-own beauty today at Gloucester Toyota, 6357 George Washington Highway, Gloucester, VA 23061.